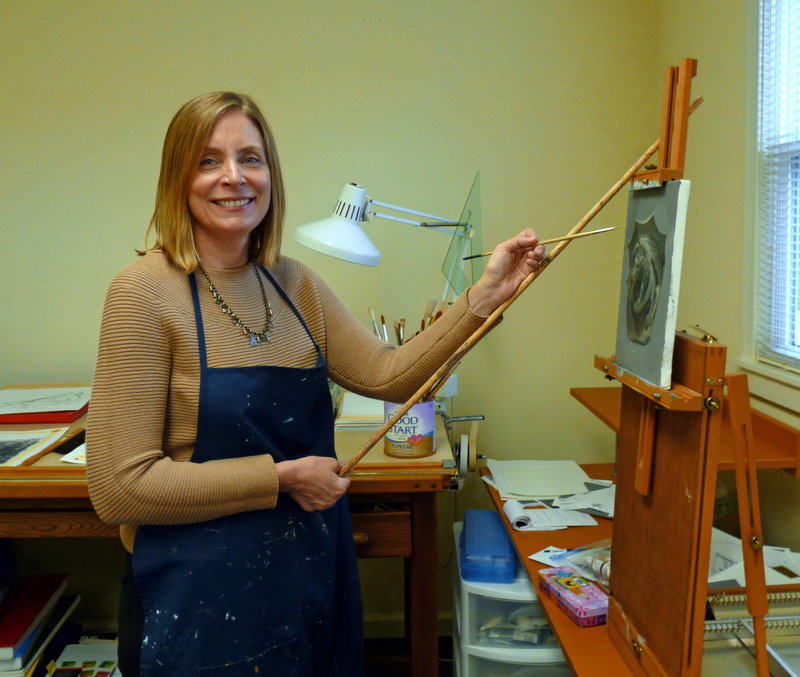 In addition to my graphic design and publishing business, I am a painter, and over the next few weeks I will be putting final touches on new paintings for “Then and Now,” an exhibition at Ambler’s Art in the Storefront. This show will include paintings from when I was a young painter through today. The works for the exhibition will show a progression in my work including portrait, still life, and landscape paintings. Save the date and stop by for the opening on Friday November 20, 2015, from 5:30–7pm. Art in the Storefront is a sidewalk event, and the work will be in the window of Denney Electric, so please dress for the weather and an enjoyable time! The show will be up until January 13, 2016. Street parking is available as well as a municipal parking lot. To see an animation of my painting process check out the slide show on the home page.